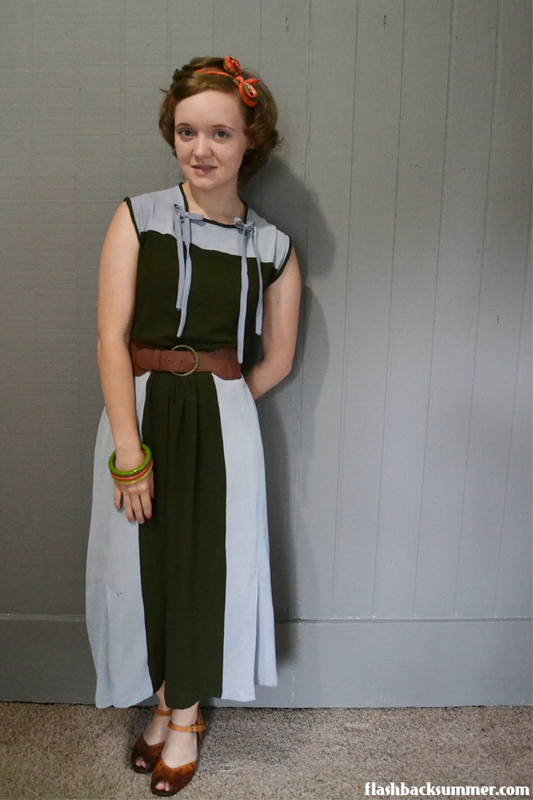 A few months ago during a Craftsy class sale, I bought the Couture Dressmaking Techniques class taught by Alison Smith. It wasn't until recently that I dove in and started watching each session because I wanted to be sure I could dedicate proper brain power and concentration to really learning the techniques Alison covers. WOW, have I learned a lot! The class has seven sessions that cover all sorts of couture techniques for finishing seams, boning, sewing curved seams, pressing, setting in sleeves, and making your clothes looking generally a million percent better than they did before. Probably my three favorite tidbits I took away from the class have to do with fabrics, darts, and pressing. 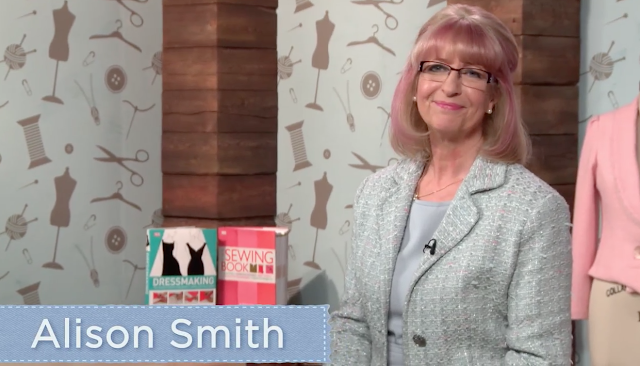 Alison covers which fabric pairings work for underlining and lining garments, and she even explains the reasoning behind it to help you make your own educated pairings. BLEW MY MIND. I've always been a bit unsure of which fabrics to pair up, and I knew very little about underlinings. This section was hugely helpful to me. Next, the darts. 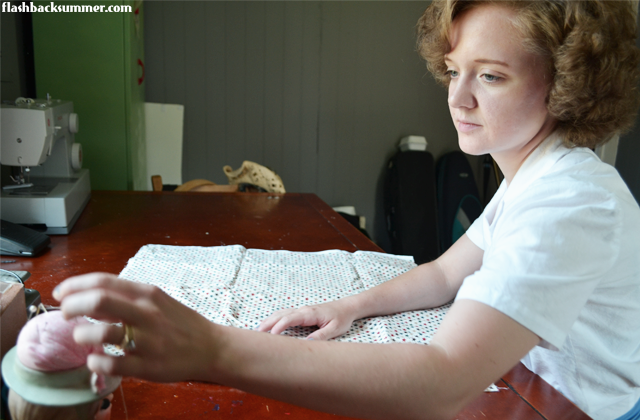 She talked about all things darts: sewing, balancing, stitching down, and pressing them. I tried balancing, stitching down, and pressing some darts on a pair of pants I'm working on in the way she recommended, and they are probably some of the fanciest darts I've ever done! MIND BLOWN AGAIN. Then my last favorite thing had to do with pressing in general. At first I thought this Alison lady was crazy in the things she suggested, but when I tried it… it was like magic. Now I need to get all the tailoring hams and rolls and everything, just for the ironing habit I'm going to have. 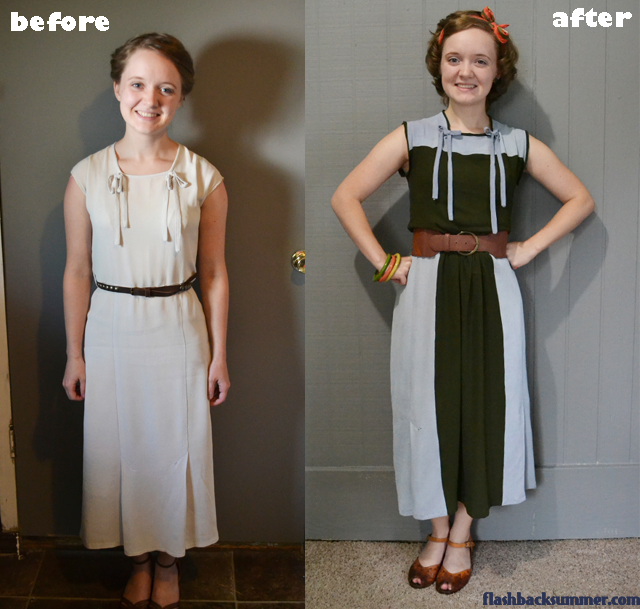 It makes a HUGE difference in how a garment looks. I haven't even gone over half the things I learned! 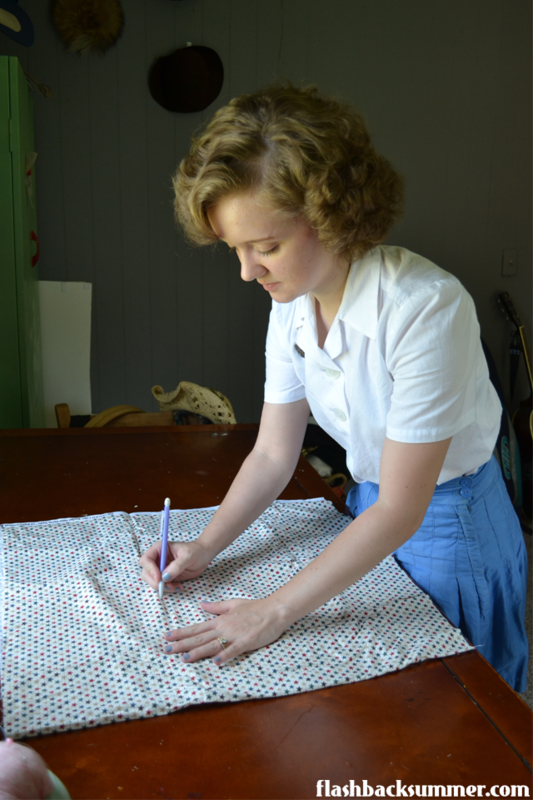 She made boning accessible, sleeves much easier, and… Overall, I would HUGELY recommend this class to anyone that wants to take their sewing up a level. It's great for learning techniques to make your clothes look better, and it's also helpful for making your clothing more durable and long-lasting. 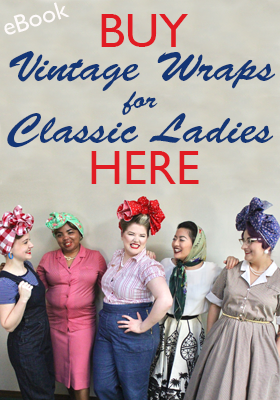 As a vintage sewist, I would say it's a must-have class. We love the clothing that has survived for decades, often due to many of the techniques Alison shares. It can not only help you recreate vintage with the same quality high-end originals have, but it can also help repair and alter vintage in an era-appropriate way. 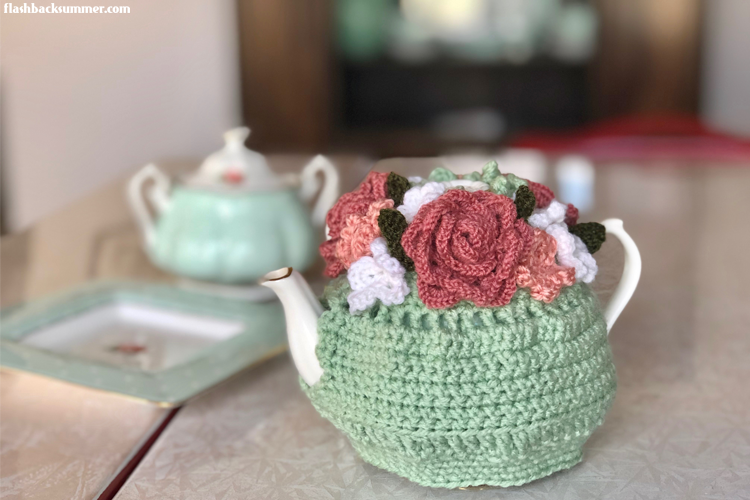 The class is on sale right now for $44.99, and you can learn more about it on the Craftsy site here! Soon I'll show you guys the project in these pictures, too! 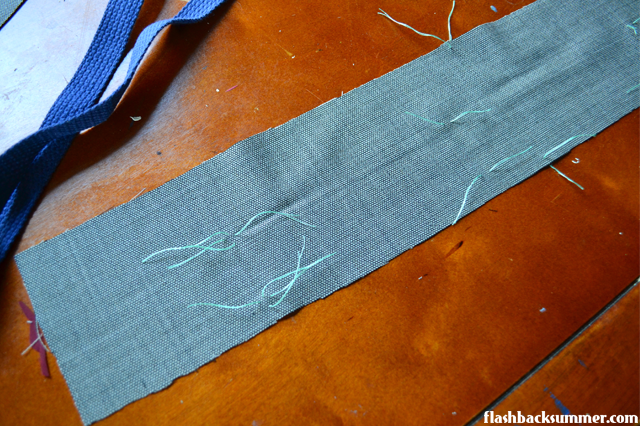 You can probably guess what they are if you've sewed for a bit, but I'm going to keep you in suspense for the reveal! Craftsy has not collaborated with or compensated me in any way for this post. Though, if they'd like to, I'd certainly welcome it. I don't know what the deal is, but Missouri is HOT right now. Not Sahara Desert hot, but definitely way hot for Missouri. And the main difference between Sahara hot and Missouri/U.S. hot is that in the U.S. it's generally not socially acceptable to be sweaty in public, especially for ladies. We have air conditioning everywhere, so that is not too hard… as long as you don't actually go outside. Sahara hot is different because everyone knows you can't do anything but turn into a sweaty puddle when it's 130 F/54 C so nobody cares. So when it comes to being U.S. hot in Missouri, it requires very wise clothing choices that will be cute AND not show sweat. This is the outfit I went with. ANYWAY, besides shoe frustrations, it was a lovely day. 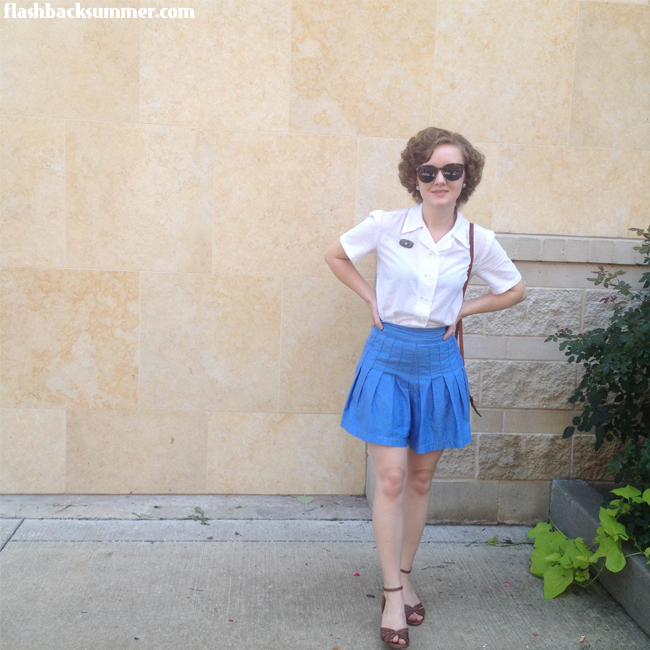 I wore my authentic vintage 1930s shorts that people often think is a fluffy mini skirt, brown wedges, and my me-made 1940s white button down blouse. 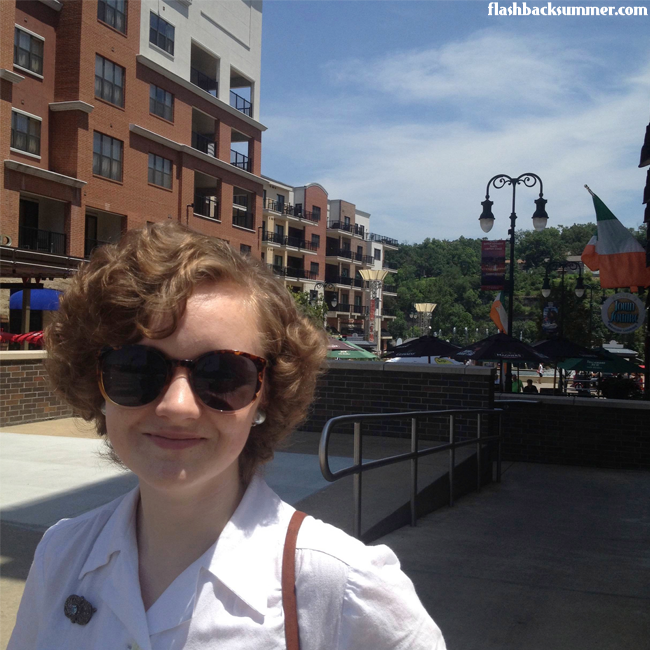 My hair fared surprisingly well, and I topped it all off with sunglasses and a brooch my mother gave me. These are both solid, plain garments, but I think they're a testament to the worth of these kinds of pieces. 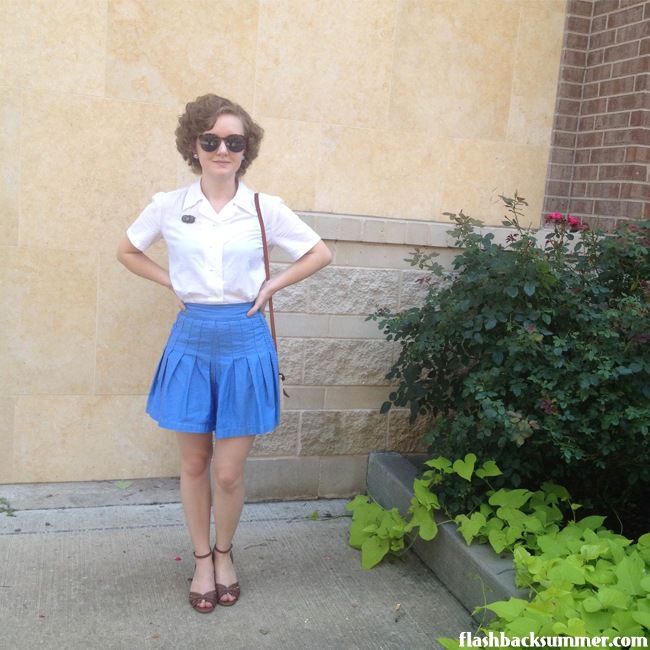 The outfit looks SO very late 30s, early 40s in its simplicity. Most "real" people in this time didn't have lots of fancy dresses; they had versatile pieces like these. Also, random note, these puffier shorts make me look like I have stick legs. So maybe… if stick legs are a look you'd like to achieve, this could be an unintentional fashion tip? I guess the roomier fit does make legs look smaller, in comparison. So… there you go, unintentional fashion tip o' the day. Hello again, friends! It's been a couple weeks since I last posted, but I'm back! 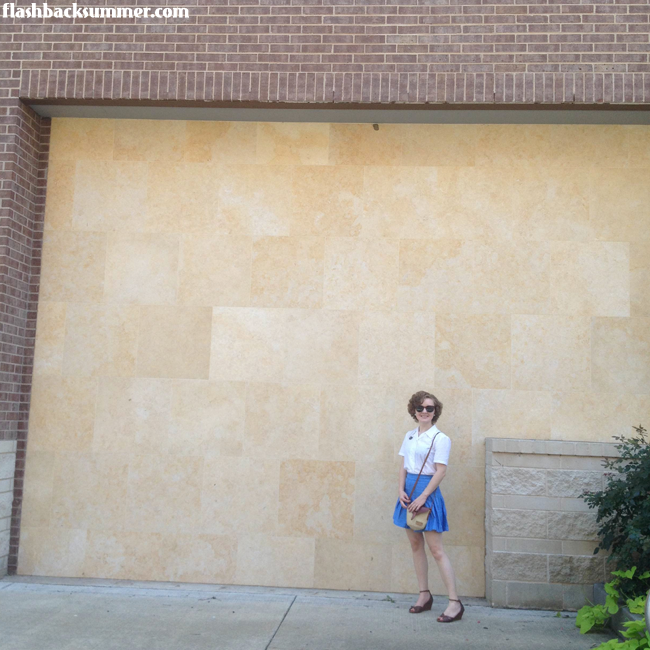 Part of my blog absence had to do with finally finishing unpacking and cleaning our new-to-us house we moved into a month ago. 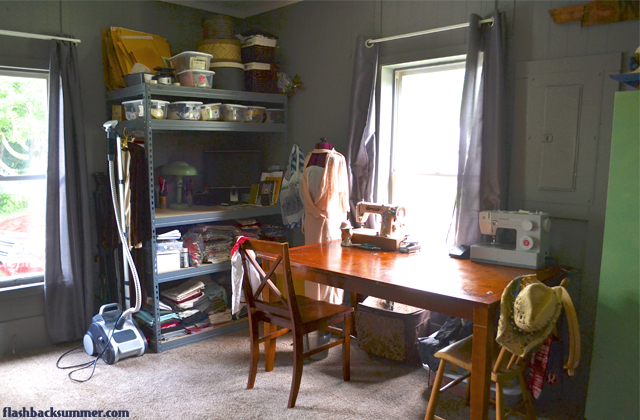 It's nothing fancy, but today I'm going to share some pictures of my sewing room with all of you. I'm so excited to have a sewing room. SO EXCITED. It's pretty big, has two big windows, and it holds the table we bought of a friend. I've never had a real, big table I could cut fabric on! I've always used the floor. Am I moving' on up to the East Side or what?! 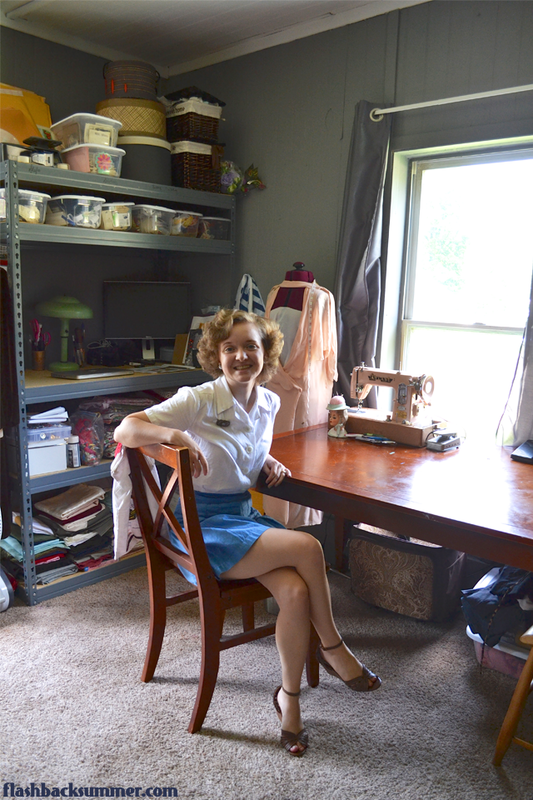 I'll admit, my sewing room isn't exactly Pinterest-perfection, but it works really well for me. It's functional, and I'm just so glad to have a whole room to keep my projects in that I don't care! 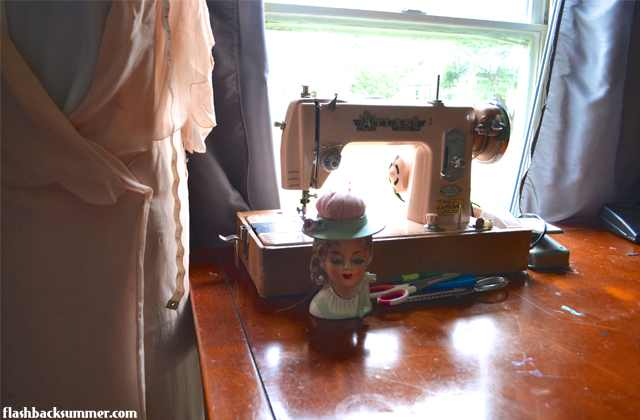 I wrote a post about my 1950s Atlas sewing machine, if you'd like to know more! Okay, this has been the project from heck. As I said on my IG account earlier this week, I've had some big life stuff to prepare for, and this project has been… difficult, so I just now have the chance to post. And despite my grand plans for a fantastic photo shoot… It has been raining for days. I just can't catch a break! Anyway, I've done my best with what I've got and I hope you enjoy it! While that was fantastic to find out, I did still have some other issues. 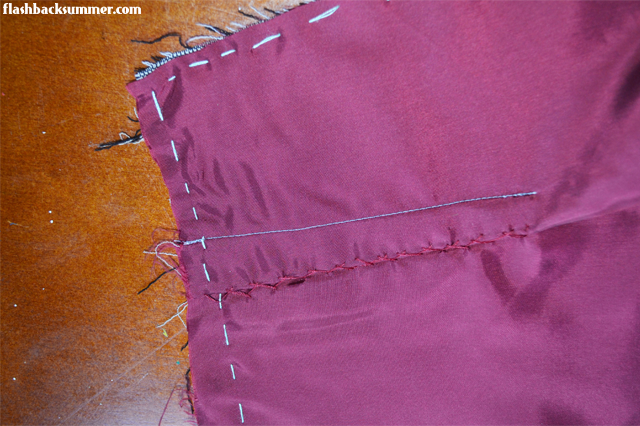 I couldn't just sew it all back together as before. 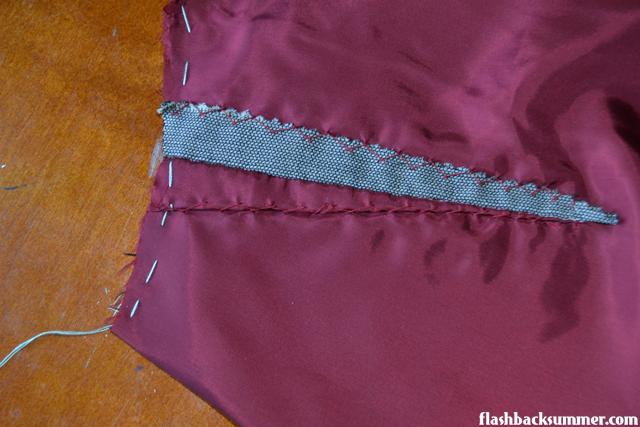 The skirt seams were very fragile, and I was afraid that putting strain on them at all would tear them out. They had been like that to begin with, but when I took the garment apart I was able to see the extent of the damage. I needed to be able to increase the seam allowance and sew on a sturdier bit of the fabric instead of the 1/2" allowance, but that meant losing the tiny bit of ease I had, making it unwearable for me. So… I got some creativity going. 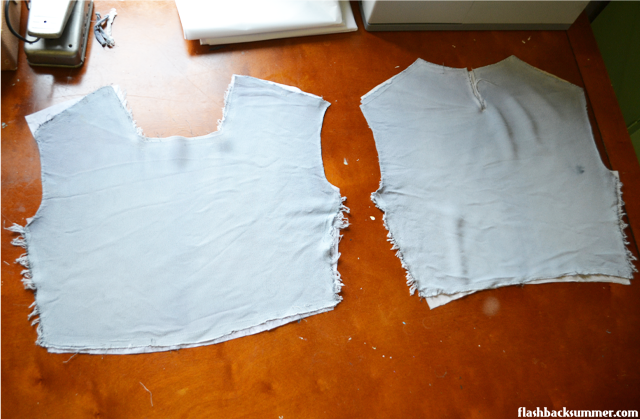 First, I tried adding some of my contrast fabric at each of the side seams and sewing the skirt back to the bodice. It was hideous. A 1930s sack. With random green bits. 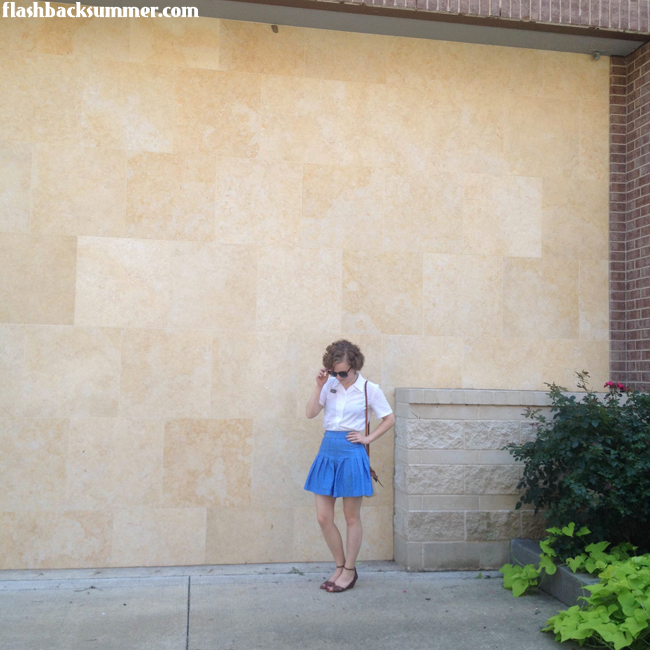 And it was too short-waisted, even for a short gal like me! An alternative solution had to be found. 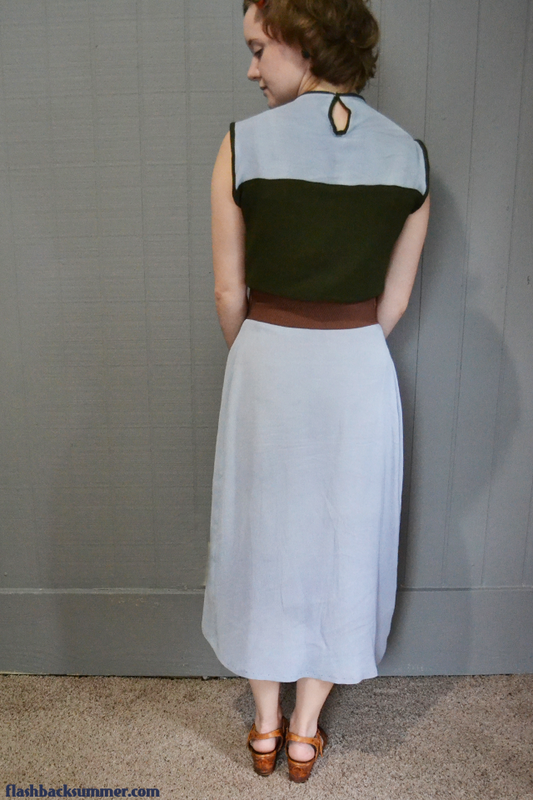 I researched how 1930s garments tended to arrange color blocks on a garment (by looking at Pinterest and one of my 1938 Mary Brooks Picken books), and I came up with a plan. I knew that they would add fabrics to too-small pieces (because my 1938 book recommended it, as you can read below), so that's what I did. 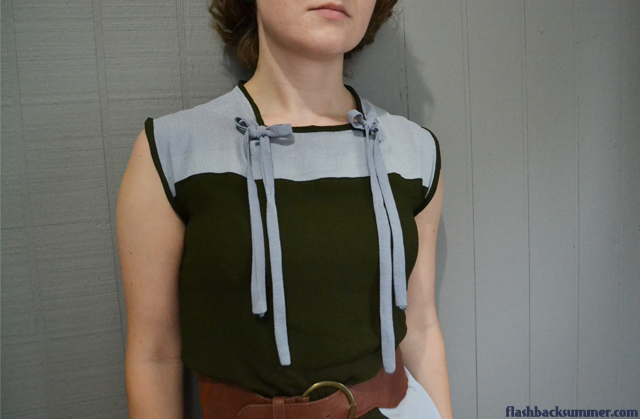 I added length with the green fabric at the bodice, then increased the hips by adding a gathered panel in the middle of the skirt. I also added a bit more shaping to the waist on the gray piecesto prevent the sack look and make the top more bloused. 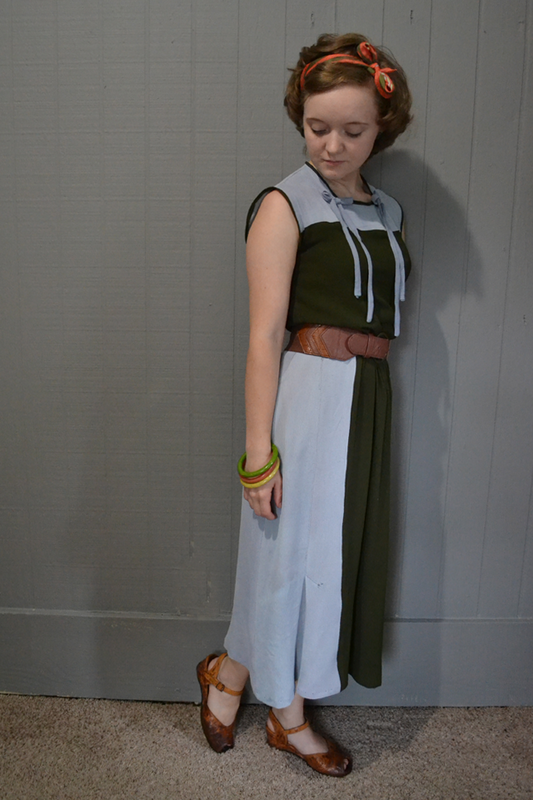 I still had to leave the waist large enough to put on over my head without side closures. The original garment had that and I'd like to keep that element if I could. And while I will wait until the next post to share about the jacket, this is what I got on the dress! I won't lie, I like it better than before. The solids are still easy to mix and match with accessories, but I get to incorporate a color I don't have much of in my wardrobe. 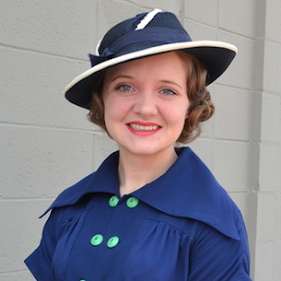 It's a period accurate way to increase the size of an old garment, either for a bigger person or to refresh its look. A near disaster has become a win! 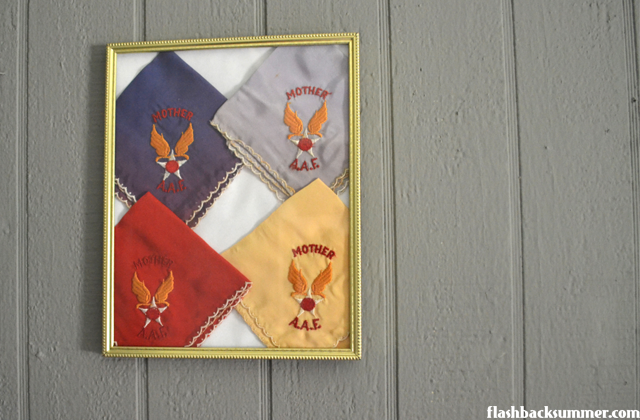 To read more refinishing tips from the 1938 Mary Brooks Picken book, click here. P.S. I got my hair cut! I am still working on my pin curling skills with such short hair, but here it is with THIRD DAY curls! How great is that?! I hope to exhibit a better first day set soon.